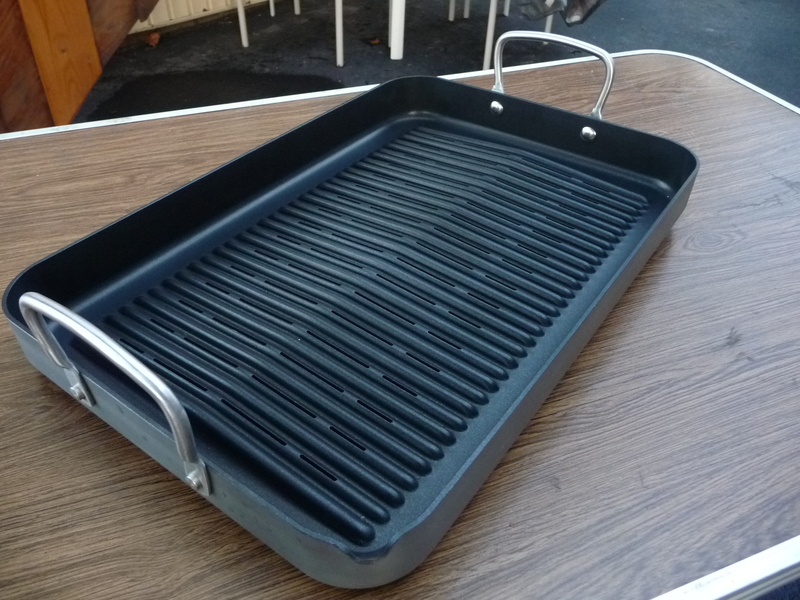 We were sent this unique grill pan for review, and promptly set out to grill some brats and kielbasa OUTSIDE on our gas grill. Yes, this pan is designed for OUTDOOR use! And you can win one right here from HotSauceDaily! Read to the end for the Giveaway Details! Officially called the Technique HardAnodized II Nonstick 18″ x 12″ Barbecue Pan – it features a durable Teflon® non-stick surface, and is heavily vented on the bottom for great heat distribution. It also features a handy pour spout on one corner. 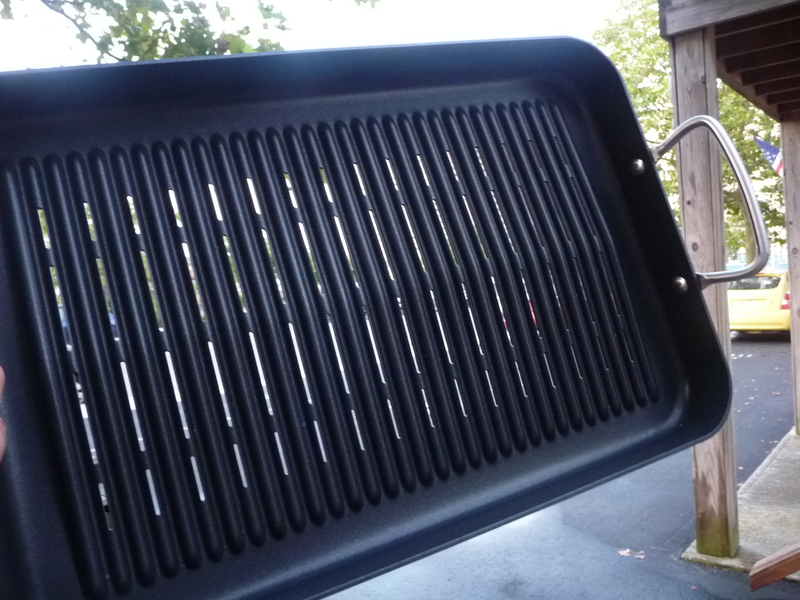 This pan is sturdy, hefty, and just made for the outdoors grill. We have a winner! Congrats to Julie Cutshaw of Tennesee! Check out Julie’s blog, and let’s hope she writes back to tell us how she likes the pan. Two big handles on each end are solidly riveted in place – this is a quality piece of grilling equipment. You can see all of the vents in the bottom that allow for great heat distribution, and the base of the pan is angled out towards the sides, channeling any fats and juices to the edges. Very little liquid actually drips through the vents. The handy pour-spout in the corner makes pouring out any fats or liquids handy and mess free. The first thing we wanted to try on this pan, were brats and kielbasa. Along with some peppers and onions, this pan made for very easy grilling with all of these ingredients. We were very happy with the performance of the grill pan. The bacon grilled up almost perfectly! That’s it! Five ways to win. Open to U.S. residents only, winner will be chosen via Random.org on Friday Sept 21st, 2012, and will have 24 hours to claim their prize. Otherwise, next pick will win, and so on. Please enter me in the contest. I would grill up some veggies like Eggplant, Zucchini, Green Peppers, Onions, Portabella Mushrooms, and Jalapenos or Habaneros and make an awesome grilled veggie sandwich. 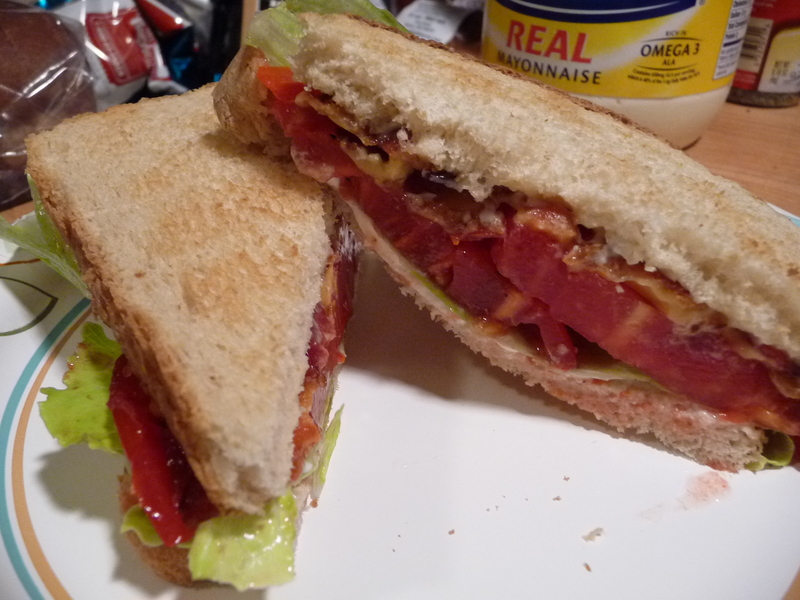 I’d also grill up some Morningstar Farms Veggie Bacon Strips and throw that on there too. You’re in, JenB. Thanks! I think you’ve grasped one of the best uses of this pan… veggies. We’ll see! I think I’d go with the most common thing we grill – burgers! Given the pan, would probably through some loose veggies in as well (rather than foil pouching it), and see how it all comes out. It’s perfect for veggies, Patman. Thanks for entering and good luck! I love the pour spout. The pouring of the grease is always my worse nightmare. I love grilling veggies and fruits over my wood BBQ pit. This is what I have been looking for. I would grill thinly sliced apples and pineapples, eggplants, tomatoes, onions, and asparagus just to name a few. Of course Shrimp can always be thrown into this mix. Oh yea, shrimps (as Emeril would say)… thanks Rueben! I think this pan would work wonderful for Fajitas. I get marinated skirt steak from my Butcher. Getting the onions, yellow & red bell peppers to grill in the fantastic marinade will keep one skillet clean. Use my grille year round under the patio cover. Awesome ideas, Ron. Thanks and good luck! Oh, yeah, skirt steak for fajitas is another good idea for the pan. If you win, you’ll have to show me how, Chris! Good luck. Got all your entries. Enter me in for sure. I can think of endless uses for this too. i may never cook indoors again!! The first things would be bacon and burgers. I would use it to grill mahi. Fish would work, for sure! Oh, tuna that is. Good luck. Bacon! Peppers! I can’t think of many things you couldn’t grill on this thing! You’re right Jim, it’s pretty versatile. Good luck, Liz and thanks for entering! My husband and I do alot of camping,, this would be great for cooking on I would love to cook a big steak or some bacon on for breakfast this would be great. This would be a great pan to have in your camping kitchen! Good luck. 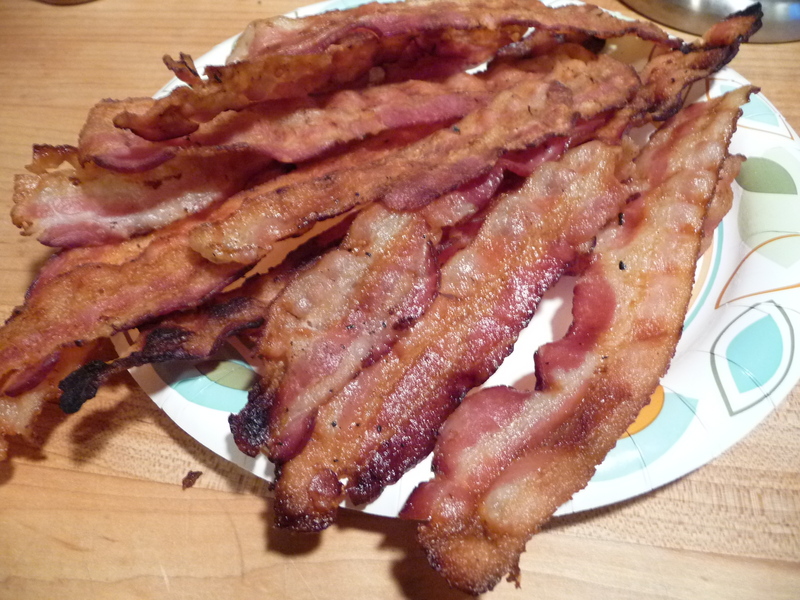 I think I’d like to grill BACON … I’ve never tried it and it sounds AWESOME! Thanks for the chance!! Sara, we love to cook our bacon out on the gas grill. Really keeps the odor out of the kitchen. A big cookie sheet lined with parchment paper is all you need. I would make a nice mix of veggies and I am sure we would be trying bacon on this 🙂 Thanks for the chance! I would love to grill some nice lamb chops and veggie combo on this baby. Looks like it would do a great job and appears to be versatile. I can tast the chops now. Good luck, JR. Wifey’s not a fan of lamb, but I do like it. I would like to grill some ribeye steaks! Nice, Sheryl. What do you like on your ribeyes? Wifey has sold me on simply salt, pepper and garlic powder. If by some slim chance I don’t win, where can I purchase one of these? Jim, unfortunately, these pans are currently “sold out”. If they do become available I’ll let you and everyone else know. That would make this a collector’s item! LOL. I’d grill sea food kabobs with shrimp and scallops plus lots of mushrooms, peppers, onions and other colorful veggies! Kabobs would rock on this thing. Thanks and good luck! 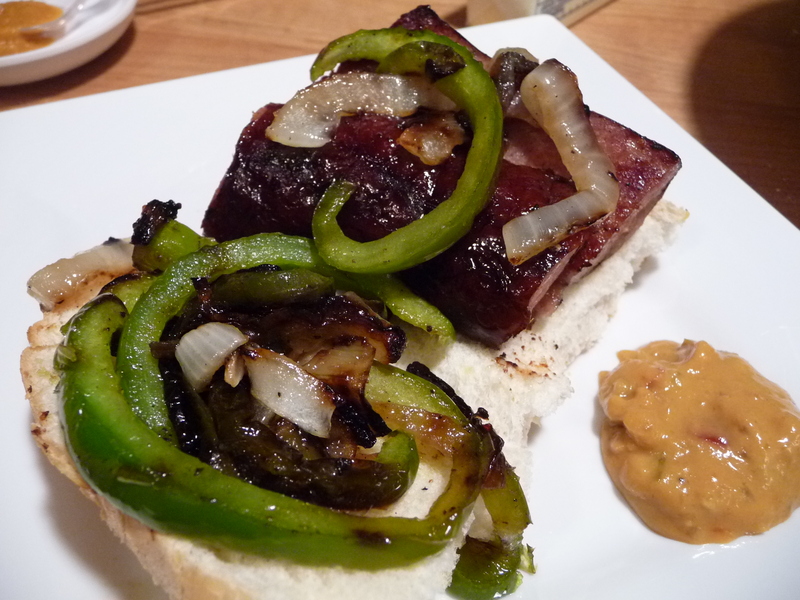 I’d grill cream cheese stuffed, bacon wrapped, jalapeno peppers! Mmmm… perfect combo! Good luck. I’d love to use this pan to cook onions on the grill. They are always falling apart. I would grill salmon and asparagas for starters!! Very nice looking grill pan, but just in case I don’t win, how do I buy one? I’d love to grill some shrimp in this pan! Thanks Tamra, and good luck. May the shrimps be with you. I see a variety of uses for this pan. Fresh fish or sausage for a tailgate. Sure I’ll need the pot of stout for the brats! I would grill apples with bacon in this pan. Would be great with some hickory smoke. Sounds weird, but ya ought to try if before ya knock it. Apple smoked bacon? Sounds like a match made in heaven. Bacon heaven! Going to have to buy one of these. That bacon looks delicious, but I’d say I have to grill some tuna or swordfish steaks. I’d like to grill vegetables and fish on this pan, as they tend to stick or fall through the grates on our grill. Thanks! This is exactly the veggie pan we’ve been looking for!! Fingers crossed! Sry Lisa.. We can’t see the post on Facebook. Tailgate time and you can cook? Check out this pan you can win. I think a pot of stout to boil the brats first, this pan, and onions will make me a winner before the game. How about you? Sounds like a great grill pan! Would love to try it out!!!! 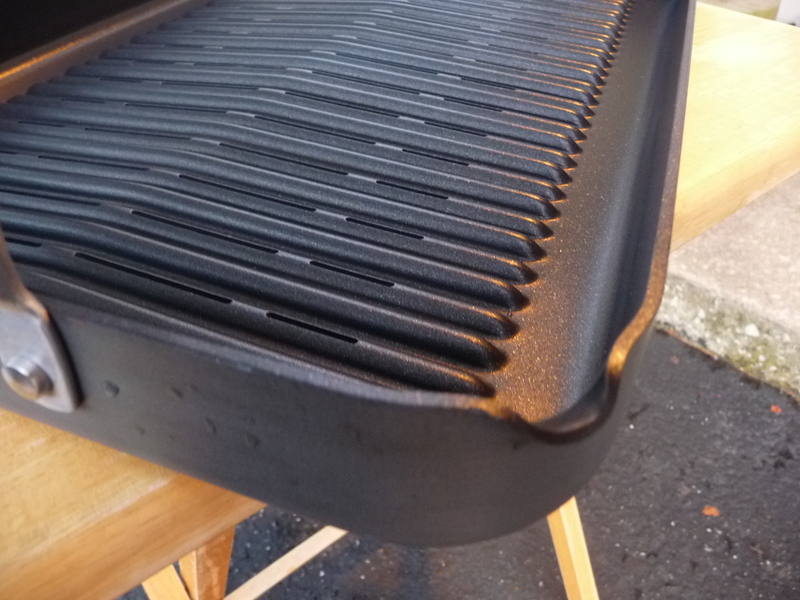 I would LUV to win thisT echnique Teflon Anodized Outdoor Grill Pan!! I HEART Teflon!! I would grill EVERYTHING on it! Like fish, chicken breast, corn on the cob, steaks, port chops, brats, bacon & baked potatoes….the list is endless! Thank for such a GREAT giveway!! Tweeted this post on twitter! Awesome pan! Luv to grill some Italian Fennel sausages w/ peppers n onions! Got to cook up some bacon. 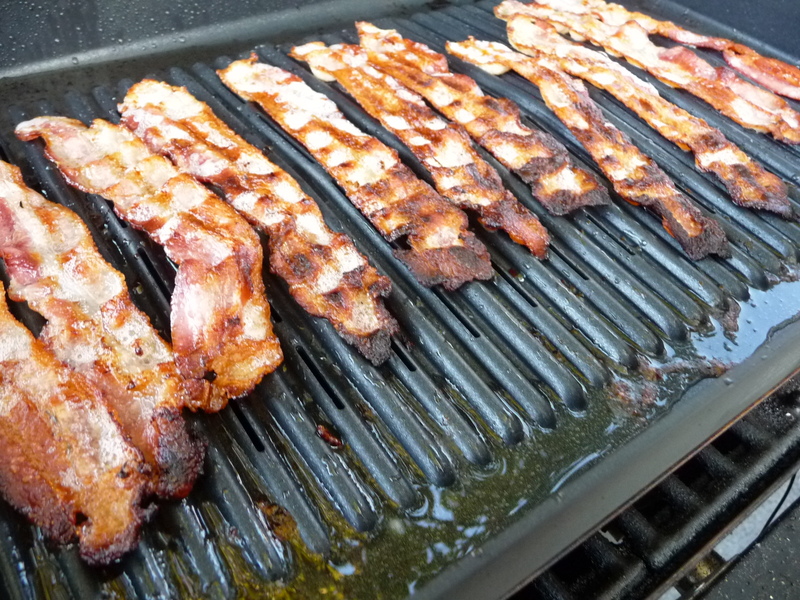 grilling bacon sounds pretty awesome! I would love to give this a try. I could through a couple porterhouse steaks on, with some grilled vegetables on the side with some freshly sliced potatoes. After that, I would love to take it on my up coming camping trip to use as our camp stove top on the fire pit grate. Just posted it up on Pinterest…. That makes the food look good. Easy cleanup, and from grill to kitchen. I’ll take one. LOVE to use it for: My husband’s delicious but VERY messy bbq ribs! I’d grill some rabbit! They’re abundant in my SoCal area and delicious when marinated in olive oil, teriyaki, orange juice, garlic, salt, crushed red pepper, and a sprig or two of fresh rosemary. I would love to try some bacon in this pan, what a great idea! 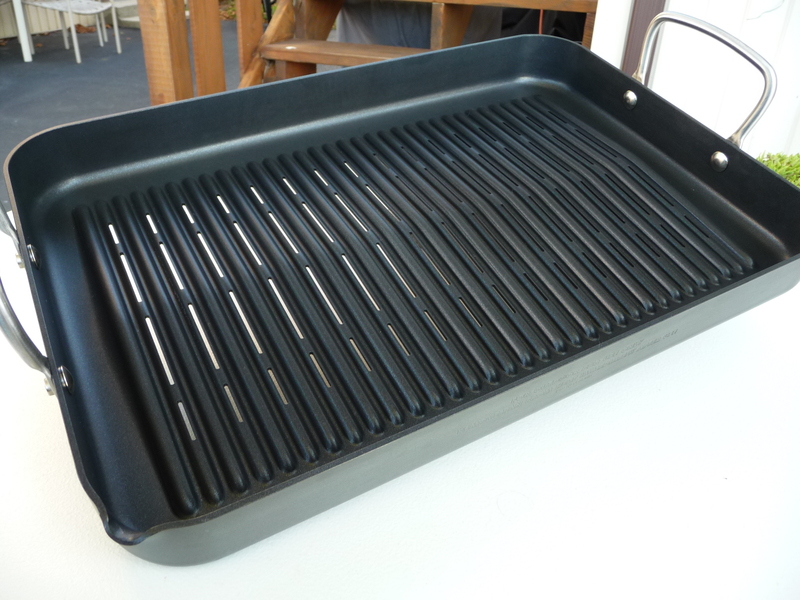 This pan sounds great for any of your grilled foods, Love it! Please send Me Where I can Buy One ? I would love to grill veges. They always fall down the grates! that bacon looks really yummy! I’d love to try grilling bacon. yum!! I would LOVE to try burgers on this. I get a lot of flare-ups on the grill but this would work great! Grilled fresh banana peppers stuffed with cubed chicken breast fillets and brocolli and cheese rice would be great cooked on it. First 2 things I’d cook are Shrimp & Scallops wrapped w/beacon!! !Then on to some Salmon!!! But all would be done on my gas smoker instead. I’d “Punk” some asparagus for the “Punk*n” Queen! The bacon and sausage looks really good — I would definitely make those! I would grill chili peppers on it of course. This pan would do an excellent grilled stir-fry. Keeping all the veggies from falling thru the grill grates. Same with fajitas. Bacon for sure, salmon, flat bread pizza. Yay! What’s your favorite steak Rachael?